New Truck Fleet for Precision - Precision Enterprise Inc. Precision is ready for snow! Recently there has been a little spring time snow warning here in New York. 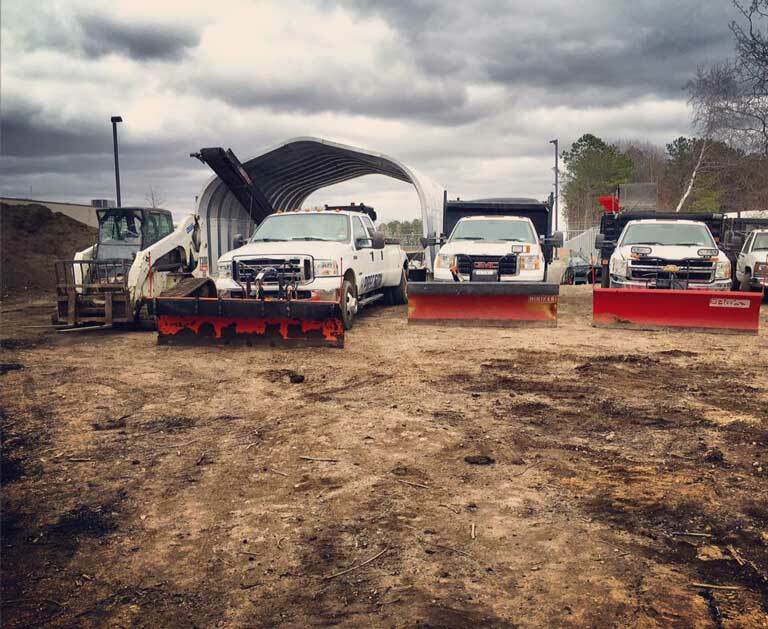 So just in case we got the entire fleet lined up and hooked up with snow plows to clear up any snow for our clients. We might even be throwing a plow on that skid shear! Keep a look out for our truck on the road out here on Long Island, you”’ spot us with a blue Precision along the side of the truck!